All of the pictures from here on in this gallery are MECH-90 projects designed and built by students. 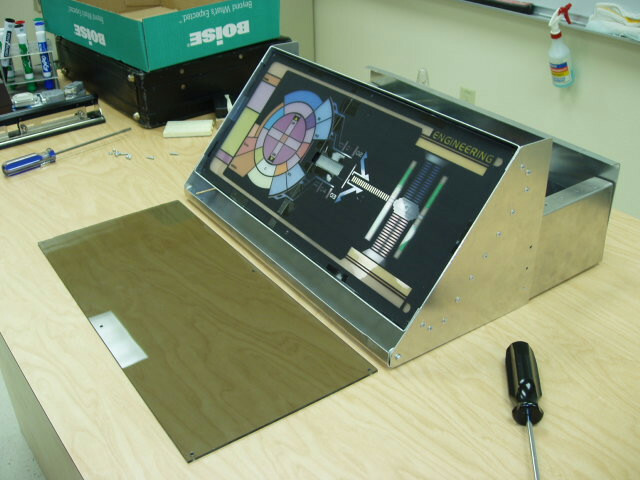 This is a Star-Trek-style control panel for a home theater system using capacitive sensors. 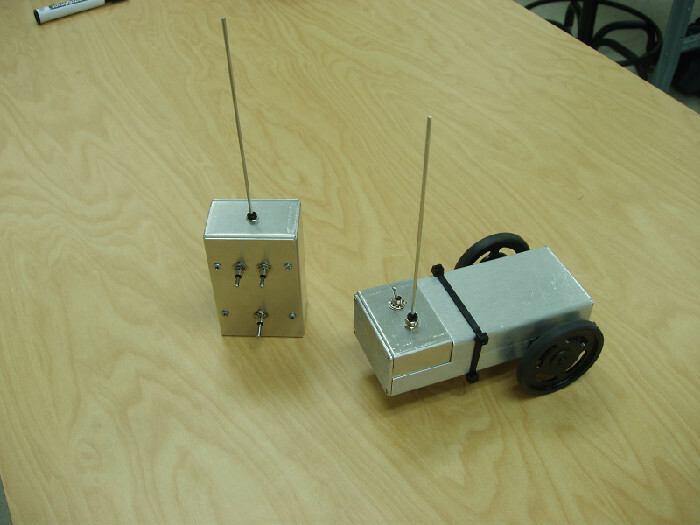 A wireless remote control robot. 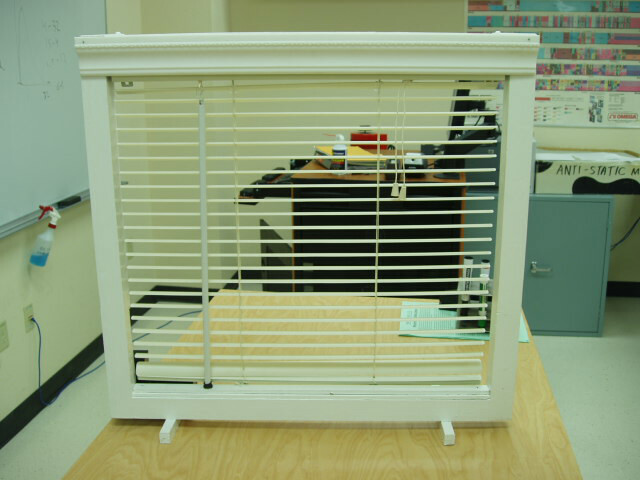 Window blinds that the student modified to automatically open in the morning and close in the evening. It uses light sensors, a PIC microcontroller and a small servo motor. 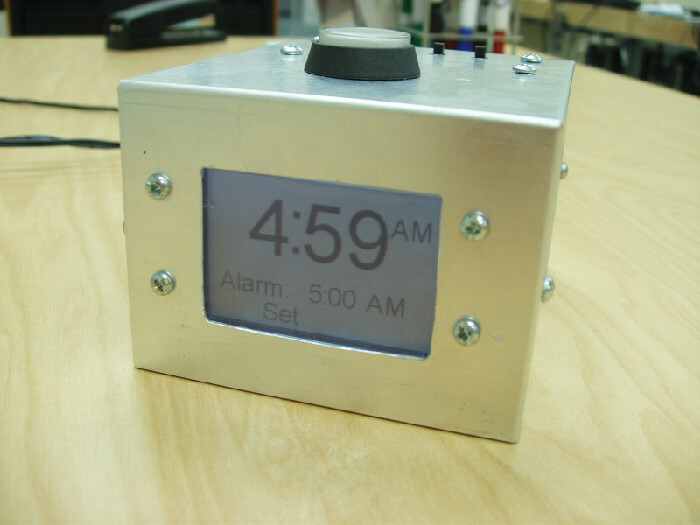 A real-time clock using the propeller microcontroller. 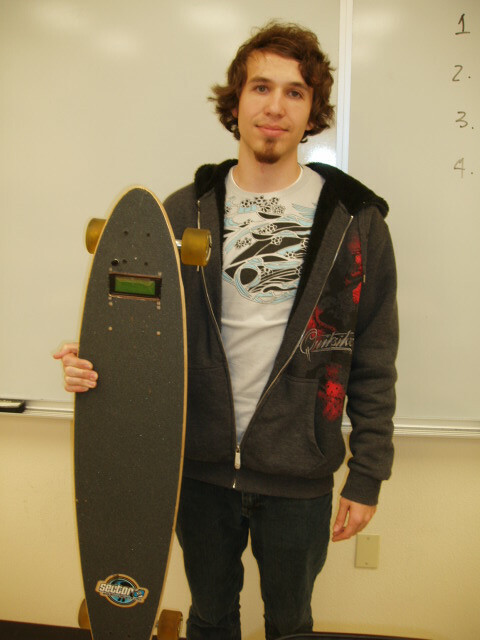 A student with his skateboard modified to add a speedometer / odometer with LCD display. 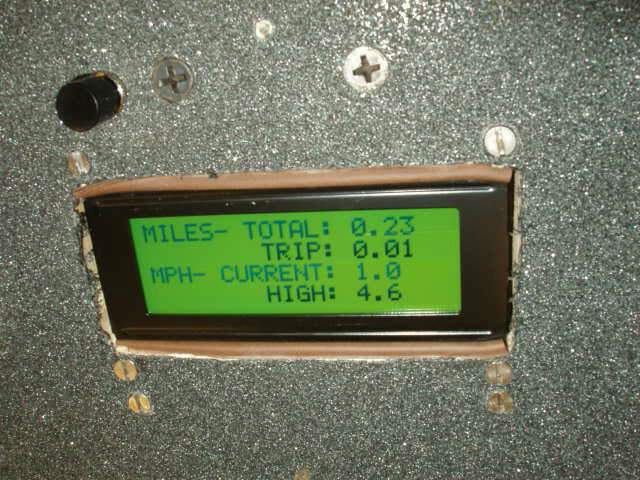 A close up of the LCD display on the modified skateboard.